Explore the feminine power of the soul with Sally Kempton who has taught and studied yoga and meditation for over 40 years. Awakening Shakti is the tantric path to inner freedom, abundance and deep intimacy- Don’t miss this conversation with Sally who is a master guide to visualizing and meditating on the powerful transformation that the yoga goddesses can awaken in your life. Activate the divine feminine for a healing, abundant and passionate method to live every aspect of your life. 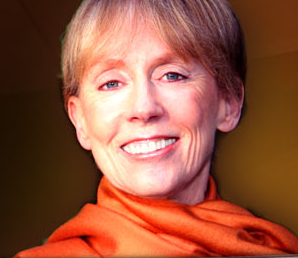 Sally Kempton is one of today’s most authentic spiritual teachers. She teaches devotional contemplative tantra—an approach to practice that creates a fusion of knowing and loving. Known for her ability to transmit inner experience through transformative practices and contemplation. A disciple of the great Indian guru Swami Muktananda, she spent twenty years as a teaching swami (monk) in the Saraswati order of Indian monks. In her guru’s ashram, she received a traditional training in yoga philosophy and practice, and became a popular teacher, deeply versed in the teachings and practices of Vedanta and Kashmir Shaivism. She now offers heart-to-heart transmission in meditation and life practice through her Awakened Heart Tantra workshops, teleclasses, retreats, and trainings in applied spiritual philosophy. 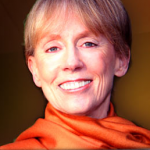 Her workshops and teleconference courses integrate the wisdom of traditional yoga tantra with the insights of contemporary evolutionary spirituality and cutting-edge psychology. Sally is the author of Meditation for the Love of It, a groundbreaking book on meditation, which Spirituality & Health called “the meditation book your heart wants you to read.” She writes a regular column, Wisdom, for Yoga Journal. Sally is the author of Meditation for the Love of It, a groundbreaking book on meditation, which Spirituality & Health called “the meditation book your heart wants you to read.” She writes a regular column, Wisdom, for Yoga Journal. She offers monthly teleclasses in meditation, and an ongoing teleconference series called the Transformative Practice Journey, which unfolds different aspects of awakening practice. She is one of a select group of teachers in Ken Wilber’s Integral Spiritual Center, and teaches regularly at conferences, and at Kripalu and Esalen.